Ambrane India one of the leading IT brands in computer peripherals, Mobile Accessories and No. 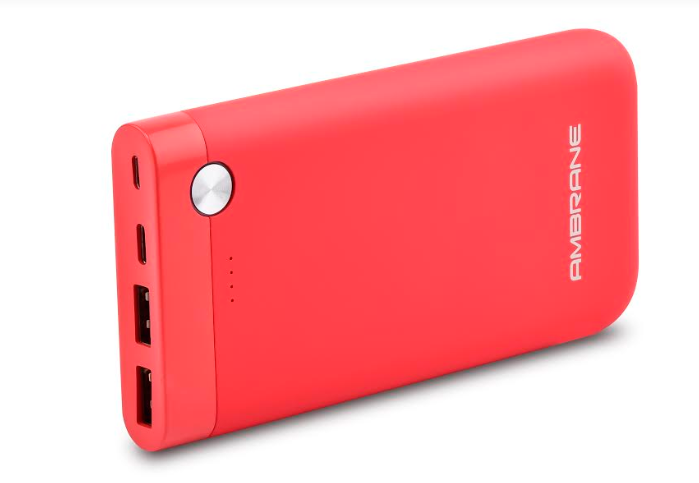 1 in Power Banks*, yet again spoils users for choice, with its latest 10000Mah an ergonomic contoured design for consumers who love to have a distinctive fashion style of their own. With super intelligent fast charging technology that lets you experience up to 50% faster charging than traditional solutions the power bank has a USB Type C port that can charge your devices, and can also be used to charge the power bank itself. Sporting minimalistic design which spells sophistication, the rubberized finish the Power bank is designed for everyday use. The 10000mAh features Dual USB ports, one Micro-USB port and gives 5V/2.1A MAX (Auto Switch Mobile Phone Dependent) output. The power pack withstands up to 300 times charge discharge cycle, making sure your electronic arsenal is always ready when you are. 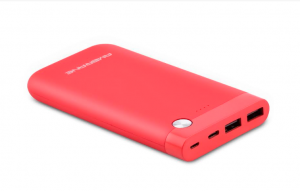 The power bank boasts being compatible with the most of the portable gadgets. Fabricated with polymer 10,000mAh battery, the power bank sports advanced smart control chips and charging/discharging chips, that provides 8 major circuit protection mechanisms; overcharge protection, over discharge protection, overvoltage protection, over power protection, current leakage protection, short circuit protection, over temp protection and auto shut off during abnormal status. The power Bank is already available with leading retail and retail stores across India.